The world is moving towards gestures. How do you feel about that? Last year, Apple introduced the iPhone X, doing away with the iconic home button, Touch ID, and introducing a new set of gestures for navigating iOS. These have now also traveled over to iPads, as the new iPad Pro models also have no home buttons. On the Android side of things, gestures are becoming more prominent as well. It was an expected evolution, since manufacturers pretty much want to kill off bezels and there's barely any room for buttons left. 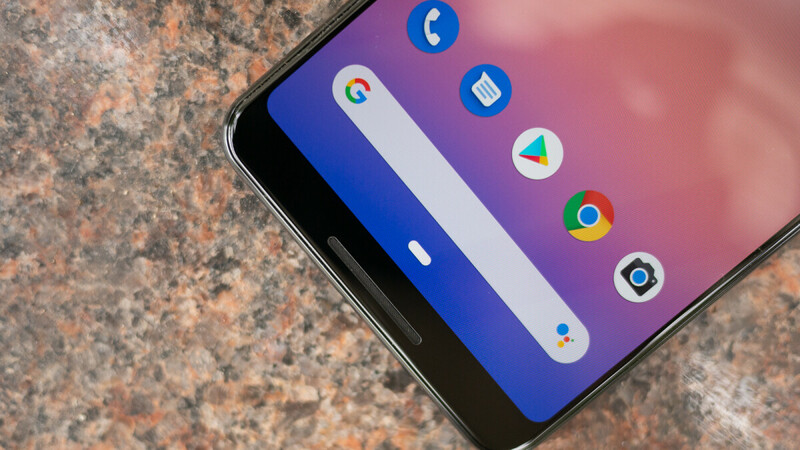 Even Google redesigned the navigation bar in Android Pie to be much more swipe-based. So, gestures are the future, capacitive buttons are all but dead, and hardware home keys are becoming a rare sight. How do you feel about this change? Do you embrace it or loathe it as you grip you Galaxy S7 tight and refuse to let go? Gestures are the future. How do you feel about that? I love gestures! I am indifferent. Either way, as long as it works, is fine No...! Bring back my buttons! No...! Bring back my buttons! I think gestures should be optional. Not permanent like on the iPhone Xs. I believe they are permanent on the Pixel 3 too, aren't they? They can be turned off via developer mode :-/ Developer mode... not in a regular menu. Not on the Pixel 3. There's only one way to navigate. To give me an extra icon in the bottom bar on my Note8, I enabled the swipe up feature on Nova, so I guess I am starting to drink the Kool-Aid. I just choose to hide the nav bar until needed. I don't use a nav bar, I instead use gestures on the fps. Since about 2012 I've used various launchers thqt use gestures. It's one of the biggest advantage Android offers, customizing the experience to suit your needs/desires. Pick and choose how to navigate around, is definitely one of them. Does it keep the nav bar totally hidden? Android is all about the choices and options, so it should keep both buttons and gestures. Seriously, Android shouldn't be similar to iOS! I am using those "new revolutionary" gestures since I owned a phone made by Meizu (and BB before, but that was another type of gestures). Never really grown on me. I don't mind them all that much, but proper buton is always faster and more acurate than gesture based on a finger accleration. Phones are huge these days, do we really need gestures that were made to suplement 4" screens? It's not Apple's customers, it's apple. Apple decides what its customers want, not the other way around. Hasn't been that way for years. You are right... Apple's customers are followers and worshipers. yes, you are right. in short, the world is moving towards gestures. I hate gestures period. I'm glad they didn't force that on the S9 Plus pie update. I would have kept it on Oreo. Dont mind gestures, however phone getting longer and reachability is getting horrible, no company have practical solve it yet. The closest OEM get it rite is Apple. Your joking right? IOS with back or cancel options at the top left of the screen. Menu and notifications being hidden and un-labled at either top corner. Reach ability is horrible on current IOS and it is the only options. I deal with more drop damaged iphones then any other brand and a lot of that comes from people switching between text conversations trying to one hand reach the back option. Good Lock on my Note 8 makes this comment null & void. I like the way that they work on iOS but it seems like the gesture experience isn't equal on different Android devices. You have fair points there but people forget that in a lot of apps, you can swipe to go back. You can even swipe between apps on the newer iOS phones. "You can even swipe between apps on the newer iOS phones." I've said it since the X, that feature is nice! When I used Android I had installed Nova Launcher and mixed the virtual buttons and gestures to navigate the phone. Now I don't really miss the buttons at all, the gestures feel natural and the phone responds very quickly to them. I'm ok with gestures, but Android's version needs some polishing. One example, it doesn't need as much space at bottom and should be thinned out some. Adding a quicker multi tasking way might be handy too in recents list instead of long press icon of app. Swiping left would be nice to go back idk. With Good Lock on my Note 8 I just swipe up diagonally & there're my recents. Gestures are the future indeed. The issue is android and ios ui are not yet designed to maximize the motions. They're basically there to replace the 3 button paradigm. Look to meego and BB10 of yesteryear and build off those ideologies is what they should do imo. So the fact that you can simply swipe at the bottom of the iPhone X & newer to switch between apps is not maximizing motions? I think gestures are better for OLED devices than capacitive buttons. They will reduce the risk of burn-in on more devices. My roommate has pretty bad burn in where the capacitive buttons are on his display after a year of us on his Note 8, since he keeps the brightness high or on max at all times. Happened on mine in less than a year & I keep mine on half brightness. It's based on usage, but nonetheless still shouldn't happen.